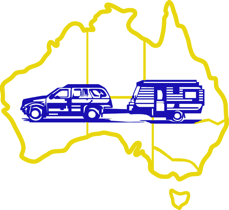 We are a group of like minded Rotarians who enjoy participating in recreational pursuits including Caravanning and 4WD driving. We meet socially several times a year at local "zone" gatherings, or sometimes interstate, and have an annual National gathering which includes our AGM. Membership is open to Rotarians and their partners, and we welcome visits from overseas Rotarians . A more detailed description of our objectives is contained in our Constitution which can be obtained from our Secretary - see the Contact Us page. We are one of many Rotary Fellowships covering vocations, hobbies and sports (see the Links page). Rotary Fellowships cross Club, District and National boundaries. For more information about what we do and where we operate in Australia visit the Activities or the Location pages. See also this Presentation about what we do. Here's an article on a recent Muster to South Australia.